EyeOnSite is a software program developed by Virdi Software. We know of version 1.7. Version 1.7.2.135 is available for download at our site. EyeOnSite package has a size of 865,086 bytes. 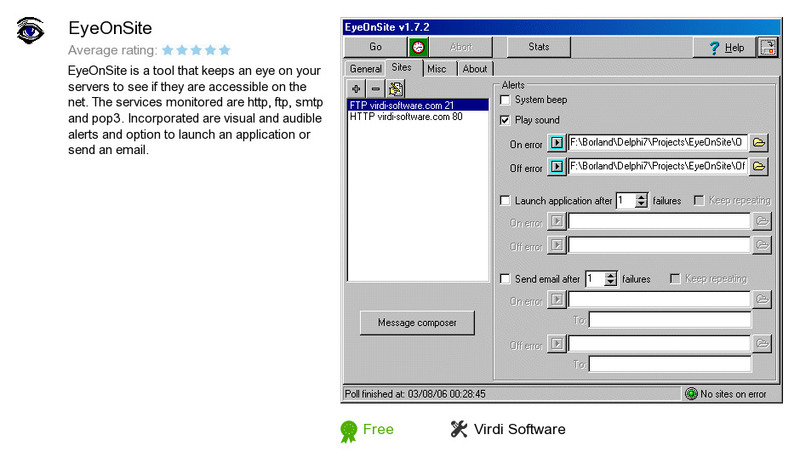 Virdi Software also publishes V-CamShow and Text2Web Pro.